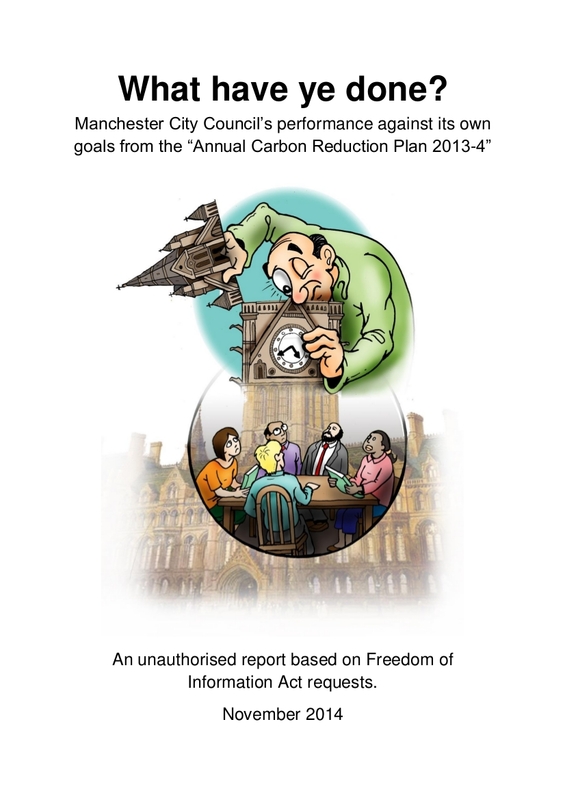 ← #Manchester Scrutiny Week – On #climate – why flog a brain-dead horse? A follow-up series of questions has been asked about a few remaining items. After the usual bureaucratic delay, answers were received. Below is indicative of the style of the Council’s answers. “8. With regard to 4.78 of the Council’s Annual Carbon Reduction Plan 2013-14, was there “a refresh of Low Carbon Plans, both top-down, at a Directorate level, and bottom-up, from an individual team level.” If not, why not. If so, where can they be found on the Council’s website. b) make vague promises about future action. And this is how the Council intends to build the credibility and learning that it will need to help us all cope with the horrors to come. How do the people responsible for this, and the people who could change it, sleep? How?